1. The PLANets have “plans” for us. That’s easy to remember because the word PLAN is part of the word planet. 2. Signs indicate the style of carrying out a plan [whether that is natural house ruler or planetary]. The sign is like a signature and it says something about the personality and nature. 3. When two or more planets get together they ask us to ‘do something’ extra special. This is called an aspect. I like to think of it as the type of conversation the planets are having and how it affects us. Yes, we can be worked like marionettes down on Earth. 4. 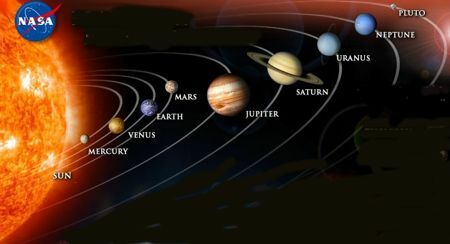 The planets are quite specific in where and what they want us to do and how they want us to do it. The house(s) that the planets reside within and the signs that are connected to the house, determine what and where we will carry out the plan. Update: The sign on the cusp of the house tells us the style in which we display the natural house ruler (planetary) concerns. For example, Mercury is in Virgo but Aries is on my 3rd house cusp so my style of communication is direct, fast, assertive, fearless, bold, etc.. And I like to talk about health, analysis, facts, the details, daily activities, working, etc.